Alludo teachers are bringing computer science into their classrooms! Here's a glimpse at the CS activities they've been completing in their districts' professional development games. Another year, another great CUE conference! We had a blast getting in The Groove at CUE 2018, and we hope you did too! Are you ready for the 2018 CUE Conference? We certainly are! Alludo will be taking part in this year's conference, presenting our Spring #CUE18 - The Groove game. We're back this week from what was another exciting, engaging Fall CUE conference! Whether you participated in-person or joined from afar, we were honored to be a part of this event that encourages all to LEARN, INSPIRE, and INNOVATE! We'll be handing out badge stickers, and our champions can enter a drawing to win three months of the Alludo platform, Alludo swag, and a CUE Rock Star Camp registration! 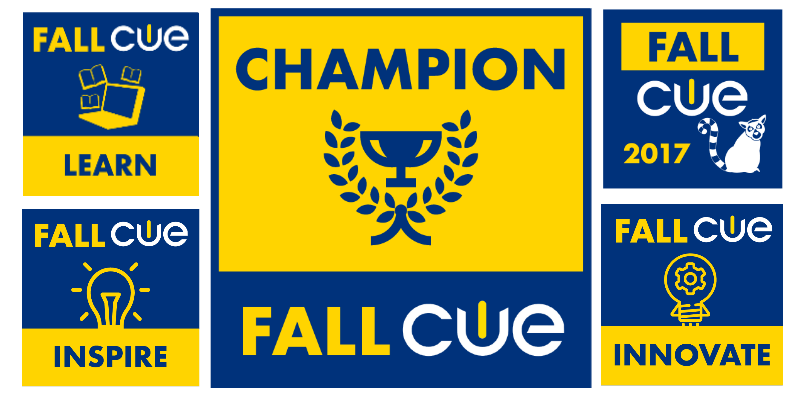 Sign up now to complete pre-conference activities, and find out more about what's happening this year at Fall CUE. Don't forget to stop by and say hi to the Alludo team!